Louie Giglio | God's Abundant Blessings! I just finished rewatching Indescribable by Louie Giglio. I am so awestruck at the depth of God’s love for us and the vastness of His glory. If you haven’t watched it, you really should make time to. It just blows you away at how completely indescribable God is. Giglio takes a look at our universe – The Milky Way Galaxy – and then goes out billions of years thanks to NASA’s explorations and photographs. What he shares is utterly amazing, mind-boggling, yes – even indescribable. He gave this talk during Chris Tomlin’s Indescribable tour. After watching photos that go out farther and farther into the universe – to the universe we know of at this time – then to read Isaiah 40:12 – GOD MEASURES THE HEAVENS BETWEEN HIS THUMB AND LITTLE FINGER – I’m speechless. Hold out your hand and LOOK at the span your hand encompasses. It might span a piece of paper, a book, a stapler, or a pencil. 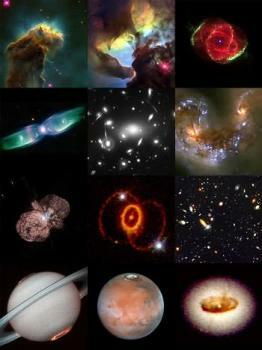 God’s HAND spans the UNIVERSE! The photo at the top is JUST of the Milky Way Galaxy where we live. It doesn’t include the entire universe as we know it today. How incredible is our God! Our God truly is indescribable, and I’m glad He is. For if I could describe Him, He wouldn’t be God. 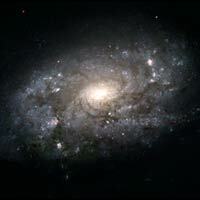 The photos are from the Hubble website. Giglio goes into so much more detail in several of his “Passion Talks”. If you don’t want to watch the videos, his talks have been outlined at this website http://www.slcf4christ.org/sitebuildercontent/sitebuilderfiles/awesomegoddocument.pdf. I am linked with GoodMorningGirls and Beholding Glory.